In the Middle Ages, the mutton of black-fleeced Welsh Mountain Sheep was prized for its richness and excellence and much sought-after by merchants. 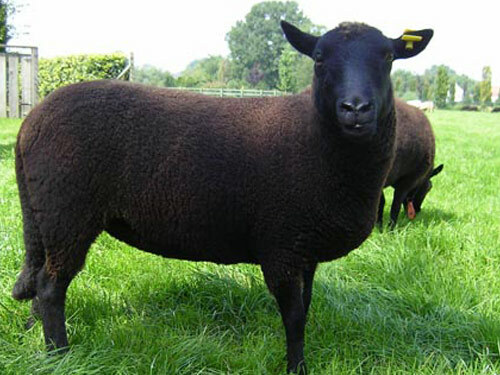 During the mid-19th century, some breeders began to select specifically for the black fleece color and the result is the Black Welsh Mountain sheep. The Black Welsh Mountain is a small, black sheep with no wool on the face or on the legs below the knee and hock. It is the only completely black breed of sheep found in the United Kingdom. Introduced into the U.S. in 1972, the fleece from the Black Welsh Mountain has generated special interest among hand spinners and weavers.